Sanrio Character Prize - Hello kitty series in Scottish uniform. Collectable plushies for kitties lovers, not to be missed. Super soft and huggable cushion. 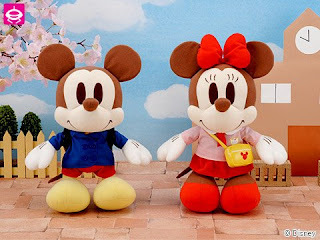 A must have for little twin stars fan, not to be miss, as nowadays there aint much productions of Little Twin stars plushies and items. 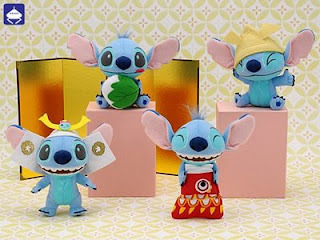 *Its a large and super soft stitch, made of velvet cloth surface. Japan San- Rilakkuma big plushie. A must have for Rilakkuma lovers. 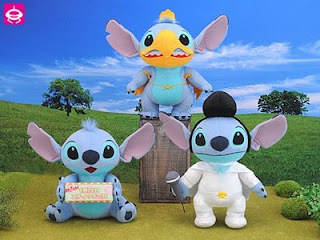 Disney Lilo& Stitch - Big Cute stitch carrying angel pouch with scrump shoes. 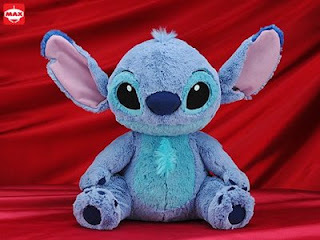 Simply huggable and A must have for all stitch fans, simply huggable! 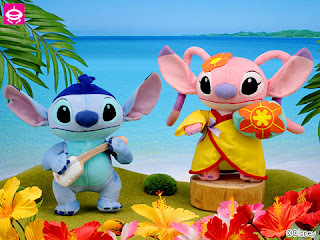 Disney Lilo & Stitch- *Huge noconoco-alike stitch! 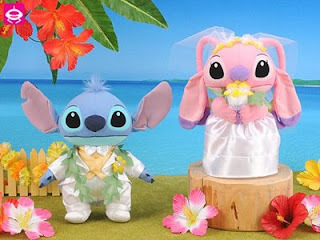 Disney Lilo & Stitch- *Huge noconoco-alike stitch! 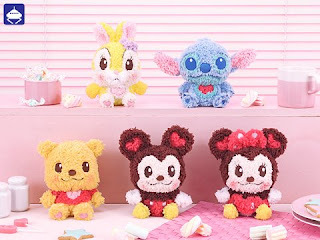 Make of the same furry material as noco stitch. 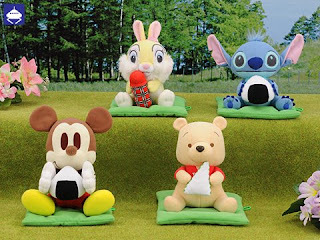 Super huge, soft cuddly & huggable! 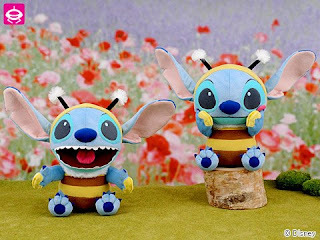 A must have for stitch fans! * Rare and sweet pink colour in colour. - bride maiden in sweet pink silky soft dress with pearl necklace. - bride maiden in white silky soft toga dress. 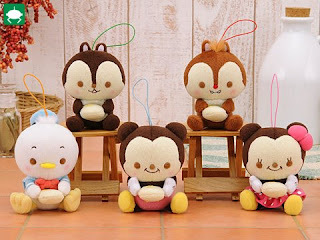 * kawaii Banpresto- big head chopper stool! Has a hard base where you can sit on it head! It clips on like a button. Am clearing these at really cheap price. 4) Disney Sega pinic 2009 collections clearing at $ 10 each!! 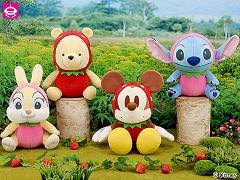 5) Dinsey SEga Mickey 2009 in strawberry costume clearing at $25!! May Month End promotion !! 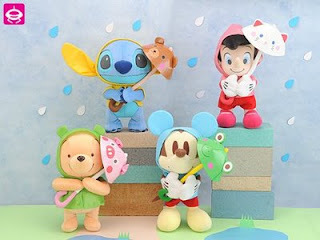 all big stitches, be it from Disney Sega or Disney lilo & Stitch, are going out at $25 each!! Buy any 2 stitches for $ 45 !! *come with a SEGA official tag stick with official reflective sticker attached. Selling: $15 each >> Price Reduced to $13 now! *This series can be connected together to sit side by side. There is a button & a elastic string at the bottom of each green cushion to connect to each another cushion! Approx. Height: 62cm lenght, 50cm height. Super comfy and soft, great to put inside car, bed, sofa couch, or even use for deco. A must-have for hello kitty lovers~! 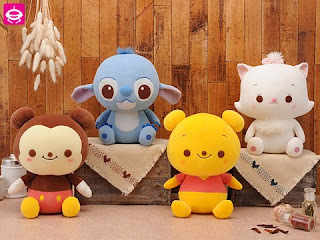 Me to you tatty teddy bear -super huge 32 inch"
Selling : 300 (only 1 piece each) Price slashed to $240 now!! Retail selling close to $400 dollars for this size! *with official label attached at the bottom. Worth buying for your loved ones or for own collection.Me to you bear 32"!! also available in red tshirt ! left 1 pc - red in colour ! not available in local retail stores. not avaible in retail stores. From UFO catcher machine, not available in retail stores. Not selling in singapore retail stores, only available in some arcades. From UFO machine, not selling in stores. not available in local stores. - left with 1 pc Stitch in black !! Im a new collector here (^.^), have roughly about 200 plushies in just a short 2 months time! Hence, have too much plushies now, so gonna let go some of the extra plushies to clear my spaces. This is a newly set up blog shop that just started in MAY 2009. All toys are unused and kept in good conditions!! SO HESITATE NO MORE, STAY IN MY PAGE AND TAKE YOUR TIME TO BROWSE THROUGH MY PAGE. 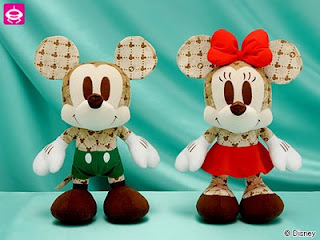 Win the LV neverful bag now before 31 aug 2009!! 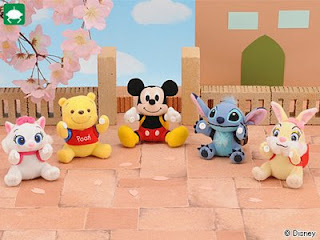 Any enquries, do email me at sweetheartplushtoys@live.com.sg or email to subaru_von@hotmail.com for faster respond. Please see the sidebars below for the Terms & conditions, thanks. For linking requests, pls email to sweetheartplushtoys@live.com.sg, subaru_von@hotmail.com will not be entertained for linking requests, thanks for the understanding. *Please note that: All items come on first come first serve basis. 2. All items are Original and Brand NEW for Amusement only. 3. All items are In-Stocks items. 4. 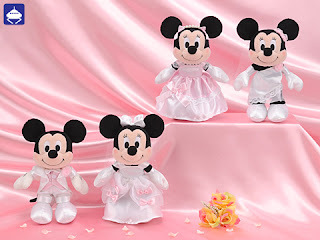 As they are amusement toys, they are not available for sale in Singapore, and that cant be bought from shops. 5. Dimension: Height & width of each item is approximate, not to extreme exact. 6. Colour of item might slightly vary from different computer. 7. Pending = Waiting for payment/collection. 8. Right now, only meet-up is available for bulky items at seller's conviences only. 9. Free Delivery for purchase up to $90. 10. Please clear all doubts before purchase. 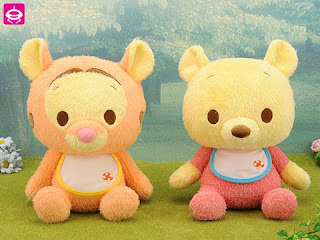 *Email me at sweetheartplushtoys@live.com.sg or subaru_von@hotmail.com for purchases through mail. 2. Buyer is to bear mailing fee to all items send by post. 3. Buyer can choose between Normal Mail or Registered Mail for non bulky/small items. 4. -Normal mail fee for non-bulky items: from $0.70-$1. Registered mail fee for non-bulky items: from $3-$5. 5. *Please Take note that once item(s) is/are mailed out, it will only reach buyer within 3-4days. *If there is some delay with post office, it might only reach buyer after 1 or 2 weeks. *Post office is closed from Saturday afternoon onwards till Monday. Post office is closed on Sunday and Public holidays. 7. * Seller will not be held responsible for item lost/damaged through mail. *Email me at subaru_von@hotmail.com for purchases through meet up. 3. Meet up will be to the Seller's convenience only. 1) Delivery service is available at $10 per trip. 2) Delivery service is FOC for orders $100 & above. *All Price/Cash are in SGD, Singapore dollars currency. *1. Cash on Delivery - SGD.